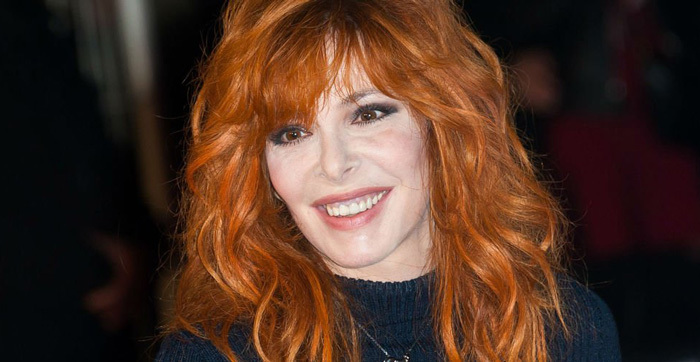 Mylène Farmer is one of the most famous and commercially successful singer-songwriters of all time in France. Having sold more than 40 million records worldwide, she holds the record for the most number one hits in French chart history. Part of her mystique was that in spite of her ever-growing reputation and massive cult following, Farmer avoided media interviews and rarely did promotional work. She is also an occasional actress, and has appeared in the 1994 film, Giorgino. Born “Mylène Jeanne Gautier” in Quebec, Canada in 1961, her father was an engineer who moved from France in the late 1950s for constructing a dam in Pierrefonds. The family moved back to France when Farmer was eight years old. She started a career in acting at the age of 17, and changed her name to “Mylène Farmer” as a tribute to her idol Frances Farmer. Mylène Farmer started her musical career in 1984, after meeting Laurent Boutonnat, an aspiring film student. The two formed a creative partnership and released a series of successful songs, with controversial yet poetic lyrics and explicit music videos. A few of them include “Maman a tort”, “Pourvu qu’elles soient douces”, “Libertine”, “Que mon cœur lâche”, and “Je te rends ton amour”. By the end of the 1980s, Farmer was a big star in France, but it wasn’t until the release of her third studio album, L’Autre… (1991), that she attracted worldwide attention. “Désenchantée”, the album’s lead single, became a phenomenon in French pop culture for its political lyrics and spent 9 weeks at the top of the French charts. Farmer’s latest studio album, Monkey Me (2012), reached number one on the French charts and spawned three hit singles: “À l’ombre”, “Je te dis tout”, and “Monkey Me”. It was certified Diamond and her tour in support of the album, Timeless 2013, was an enormous success as well, selling more than 500,000 tickets. Mylène Farmer has won numerous awards and accolades in her career, including several NRJ Music Awards, and a World Music Award. Although a famous figure in music, little is known about the personal life of Mylène Farmer. In 2015, several French published reports that Farmer was pregnant. Her manager, however, refused to comment on the issue.